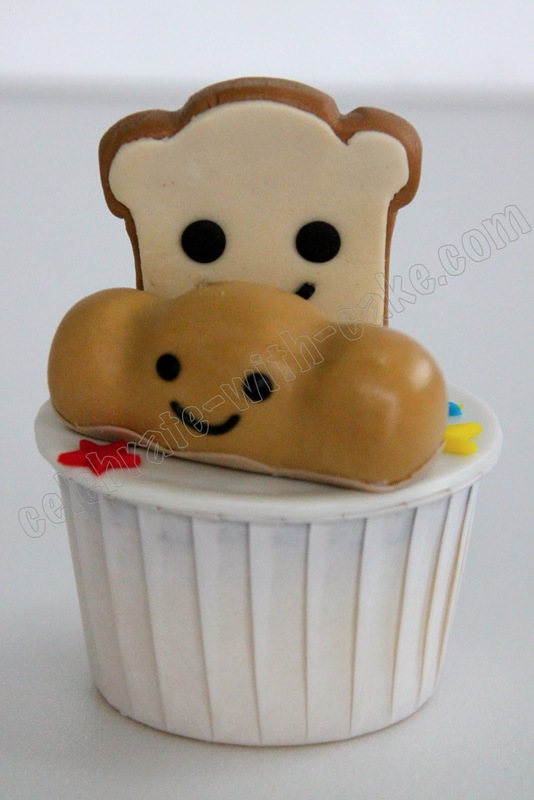 J dropped us a mail a while back and got us to make this set of cupcakes for a friend of hers. 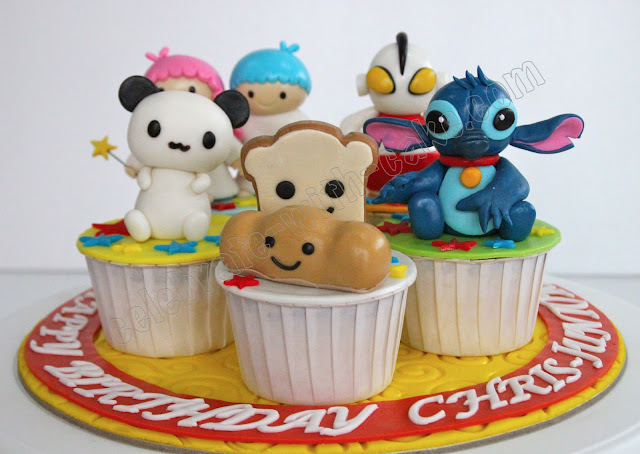 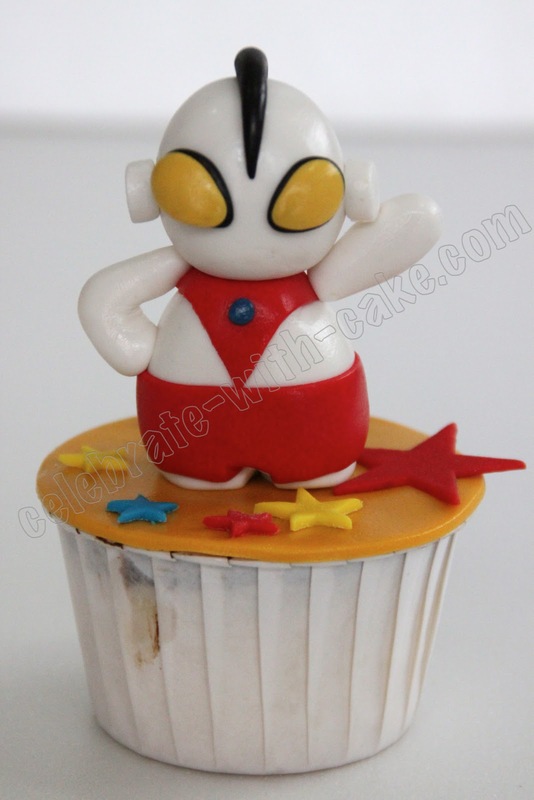 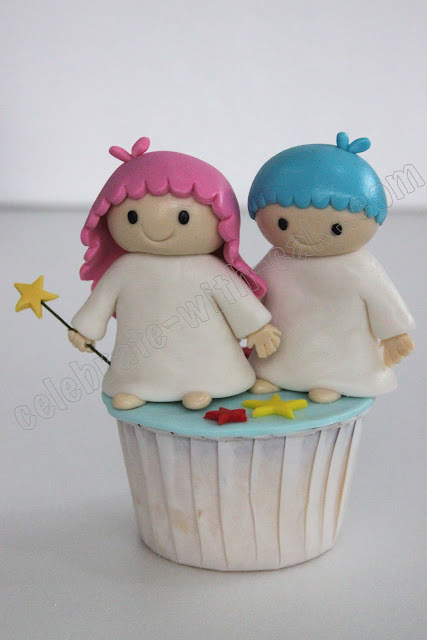 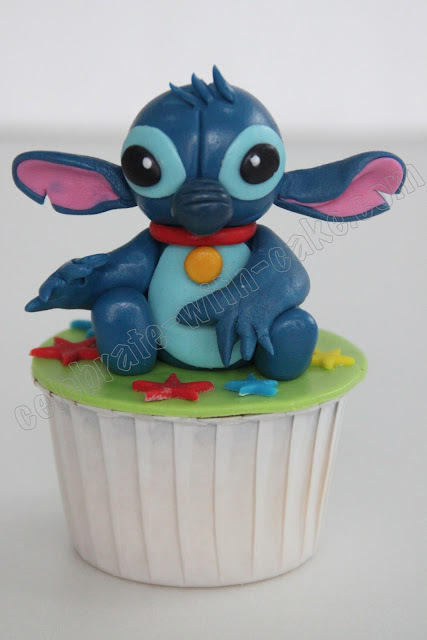 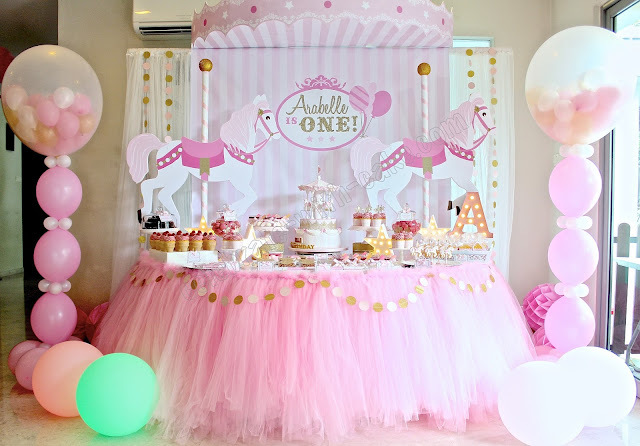 Her list of toppers included the super duper cute shokupan and friends stitch, ultra man and little twin stars! 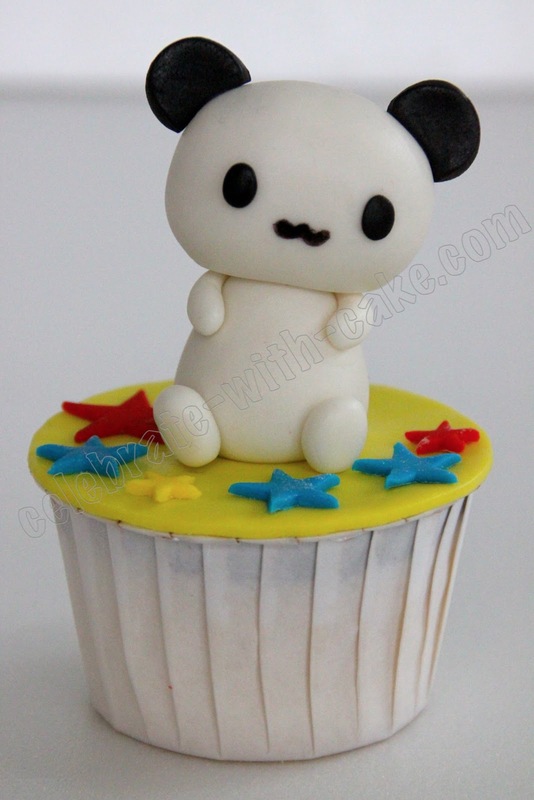 Cupcakes were lychee with lychee filling.